Nestled in the lush and luxurious North Miami Beach Aventura neighborhood sits the award-winning, AAA 4 diamond-rated Turnberry Isle Miami—a quiet beach, golf, tennis and spa retreat sprawled over 300 perfectly manicured tropical acres replete with 100 different varieties of plants and 50 bird species. Immediately upon setting foot in the lush location, I was overwhelmed with the desire to relax, recharge, and revel in downtime fun under the South Florida sun. Not surprising given this coveted property’s rich history spanning nearly four decades, attracting a veritable who’s who of celebrity guests. 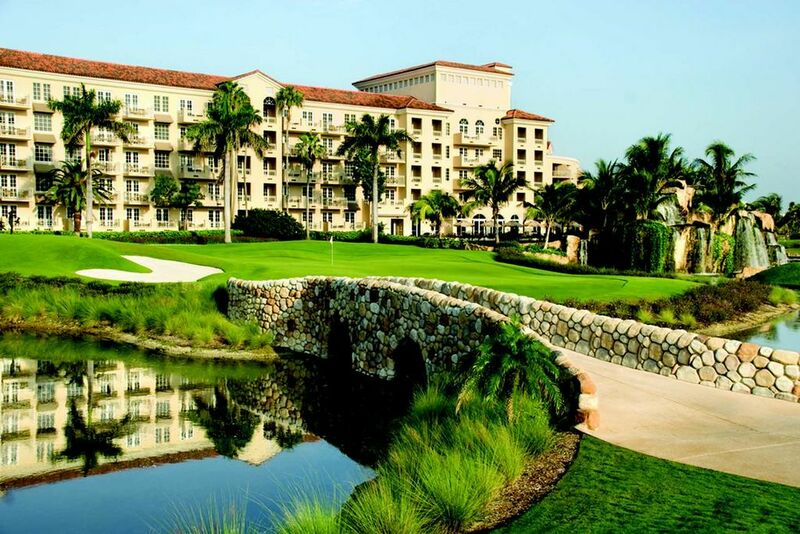 Conveniently situated between Fort Lauderdale International Airport and downtown Miami, Turnberry Isle is a venerated Mediterranean marvel that is sophisticated and chic but not ostentatious. Designed with guest comfort well in mind, the resort’s spacious 408 guest rooms and suites exude interiors and features that feel like home, including wood-floor entries, carpeted bedrooms, plush linens, fine art, elegant furniture and French doors that open onto private terraces that face the gardens, pools, or world-renowned golf courses. Each room boasts all of the expected modern bells and whistles, such as two- flat screen televisions, i-home audio player, three dual-line telephones, wireless Internet and a Keurig coffeemaker. 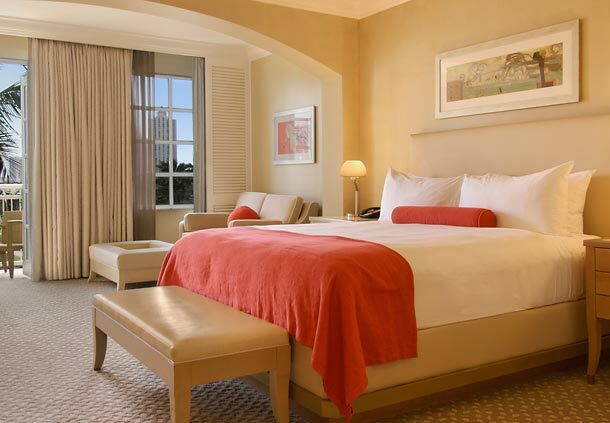 Additional in-room features include an umbrella, stocked refrigerator, safe, robes and slippers. For those who prefer more space, the property’s splendidly appointed suite options include the One Bedroom Suite, Apartment Suite, Tower Suites, Presidential Suite and Grand Presidential Suite. Spanning more than 1,700 square feet, the Presidential Suite is highlighted by a dramatic foyer, exquisite wood floors, multiple marble-accented bedrooms, a large living room with a sofa bed and three side chairs, a fireplace, fully appointed kitchen, a separate dining area that comfortably seats eight, a bar space, and a sweeping terrace. The Grand Presidential Suite also offers an adjoining room options that expands the interior space to fully 2,400 square feet or 4,400 square feet when accounting for the balcony space and expansive terrace overlooking the driving range and gorgeous greens. 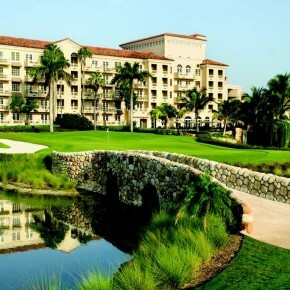 Speaking of the greens, Turnberry Isle offers an unrivaled golf experience with its two recently renovated Raymond Floyd-designed championship 18-hole golf courses that are brimming with natural wildlife, impeccable landscaping, and challenging play. Golf is, in fact, Koerbel’s personal favorite feature of the resort, citing the two perennially green courses with their contoured fairways, doglegs and water features strategically placed throughout the 36 holes. Beyond world-class golf, this venerable property also partners with the exclusive Cañas Tennis Academy, directed by Guillermo Cañas. 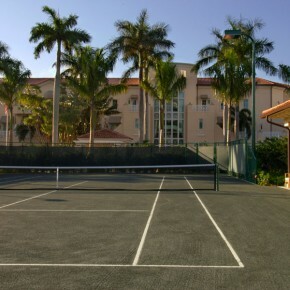 The resort’s state-of-the-art tennis center has four clay HydroCourts for day and evening tennis, eight courts at the Turnberry Marina, and a tennis shop. 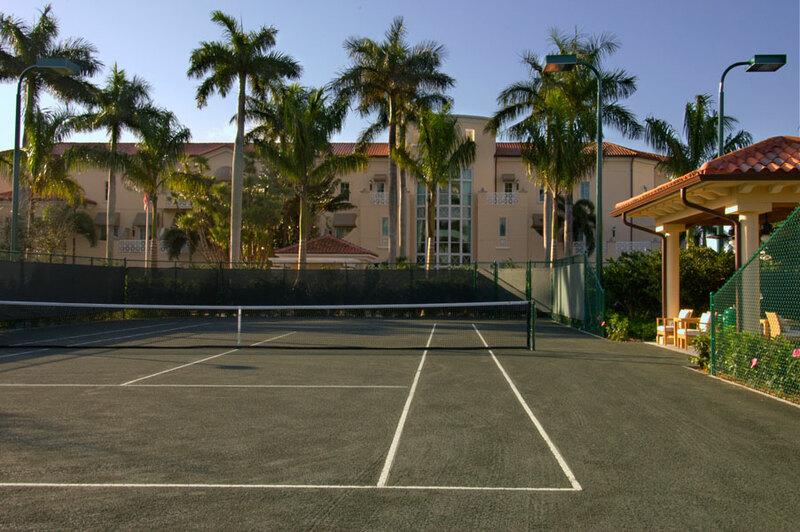 There are daily clinics, private lessons and corporate packages available along with fantasy tennis camps and golf lessons. 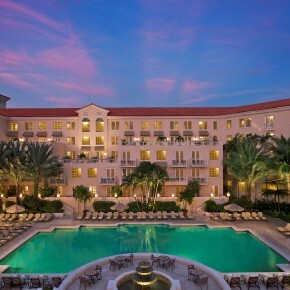 For those who desire to spend their vacation period poolside, Turnberry Isle’s family-friendly Laguna Pool is the only one of its kind at a South Florida resort. This 7,500 square feet water paradise includes a 180-foot long, 35-foot high water slide, a splash pool supervised by a water safety attendant, an 800-linear-foot lazy river with single and double inner-tubes, a separate Jacuzzi, and a toddler wading pool. The lagoon-style heated zero-entry swimming pool is surrounded by lounges and round, cushioned beds as well as 18 private cabanas that come with comfy furnishings, a 32-inch LCD flat screen television, a refrigerator, ceiling fan, locker, changing room and premier service with your own personal attendant. 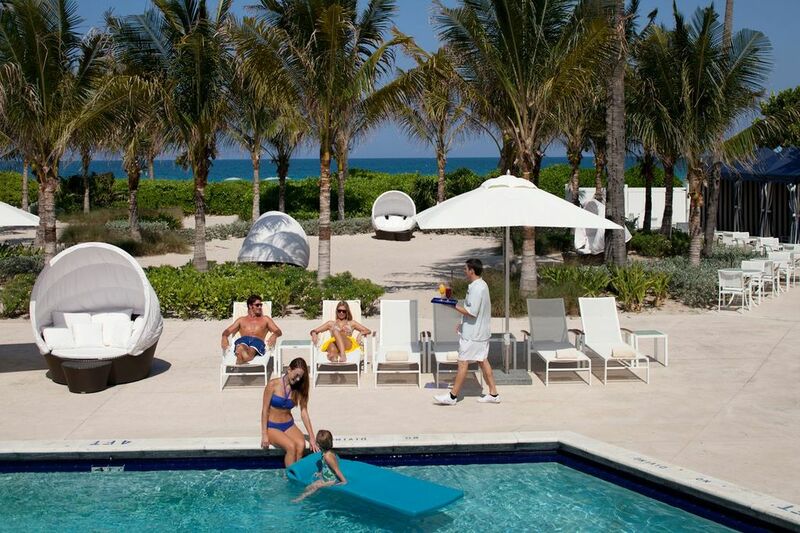 If you want ocean side exclusivity, try the private Beach Club.Accessed by complimentary shuttle, this locale offers its own stunning pool, plush loungers, VIP cabana and special accommodations at the Atlantic beach located just a few steps away. 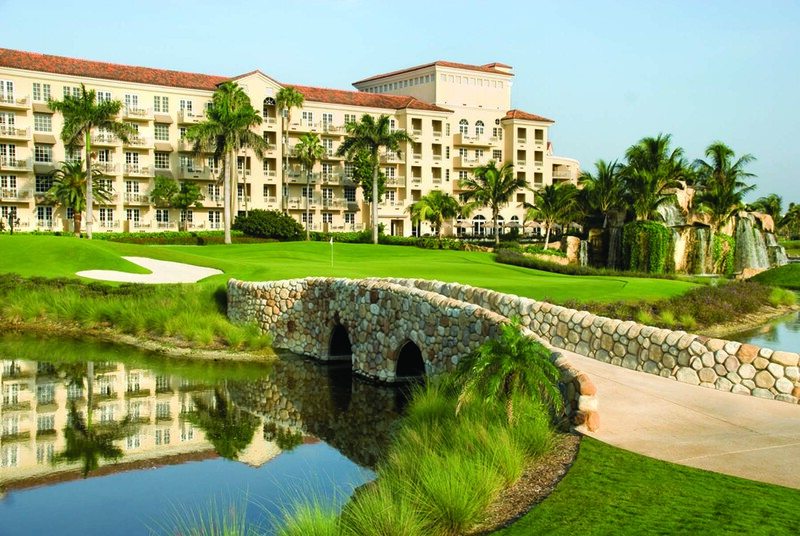 At Turnberry Isle, it’s all too easy to maintain—or start—a fitness regime with nearly three miles of jogging trails as well as an impressive 25,000 square-foot Mediterranean-style spa and fitness center. 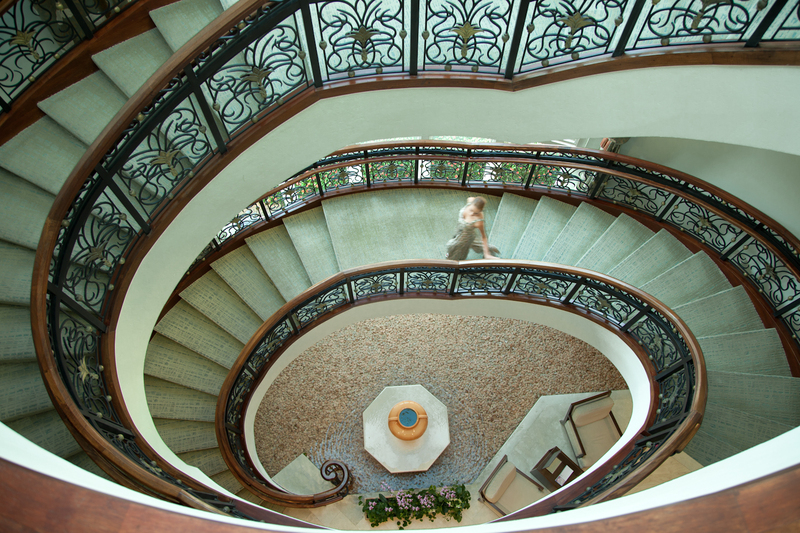 Comprised of three floors connected by a grand spiral staircase accented by ornamental iron, a fountain and massive glass dome skylight, from the moment you enter the space it’s clear it was planned with your pleasure in mind. 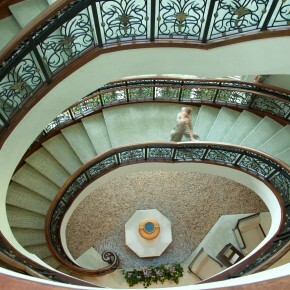 The spa has21 treatment rooms where you can take your pick from an extensive treatment menu. The newly renovated fitness center is impressive even by resort standards, with an aerobics and spin cycle studio, weight and cardio rooms, and tailored wellness programs with available personal fitness instruction. There’s also a spa café to enjoy smoothies, protein shakes, juice blends and more. Guests who have had their fill of the copious on-site activities also enjoy a complimentary shuttle to the neighboring Aventura Mall, one of the most lauded shopping venues in South Florida. And, while Miami is rife with fine dining options, Turnberry Isle guests benefit from having one of the city’s most revered steakhouses on site: Bourbon Steak. 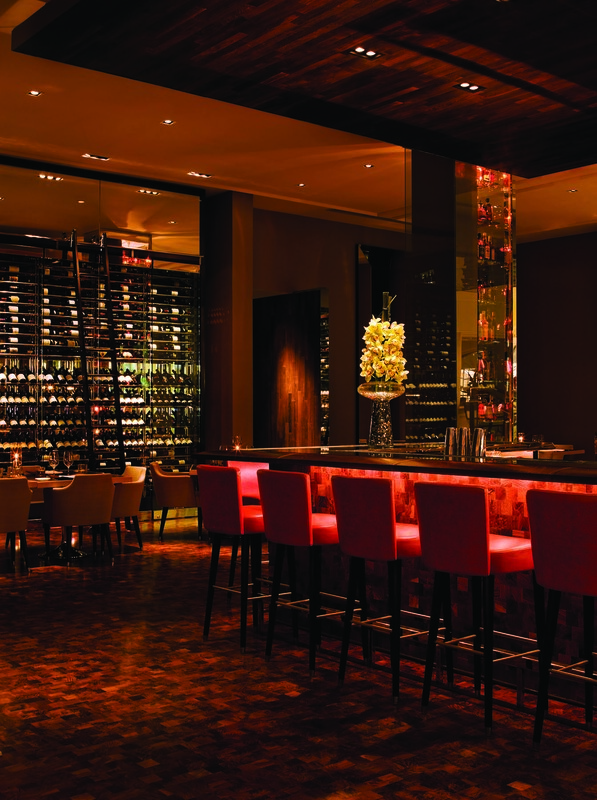 This contemporary American steakhouse from famed Chef Michael Mina is situated just off the main lobby, offering a menu reminiscent of Mina’s Las Vegas hot spot, Stripsteak at Mandalay Bay. 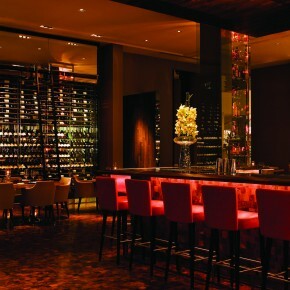 The elegant though unpretentious eatery, where a sophisticated décor is juxtaposed with rock and pop music, focuses on fine meat, including Waygu rib-eye and filet entrées, and fresh and compelling seafood dishes such as the Maine lobster pot pie in a rich bourbon cream. Of course, Chef Mina’s famous beef tartar appetizer, assembled table-side, is simply not to be missed. 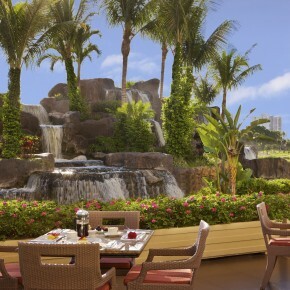 Also on site at Turnberry Isle is Cascata Grill, a Mediterranean-style restaurant with ingredients from the chef’s garden visible on the grounds, which is filled with fresh herbs, vegetables, and fruit trees; the Harry Soffer Room, a richly appointed private club area and dining room for members that overlooks the golf course and offers a full menu and place to play cards; the Laguna Grill, an outdoor tropical terrace restaurant located next to the lagoon pool; and the Beach Club Grill, a seaside restaurant with indoor and outdoor dining at the private beach club with fare for grownup and kids. 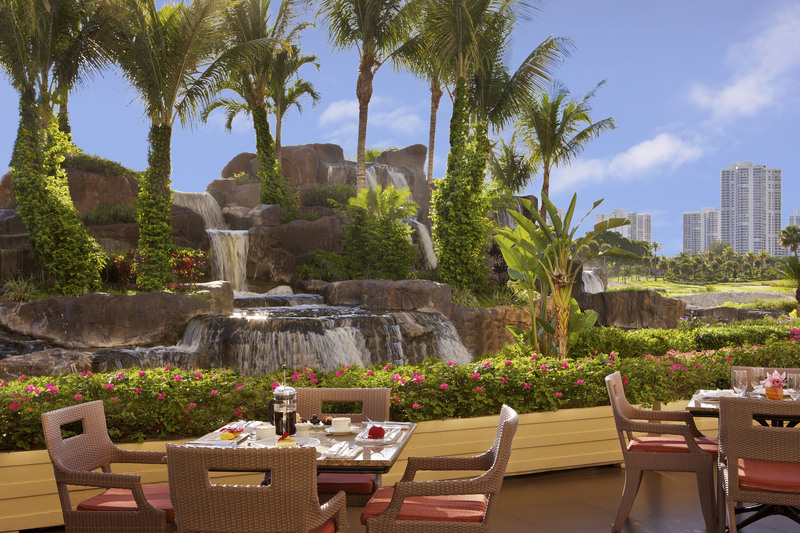 When in the mood for a libation, there are five bars and lounges to choose from, including the Lobby Lounge, the Bourbon Steak Bar, the Cascata Grill Bar, the Cascata Pool Bar and the Beach Club Bar. Each feature their own eats and drinks, so it’s worth trying them all. 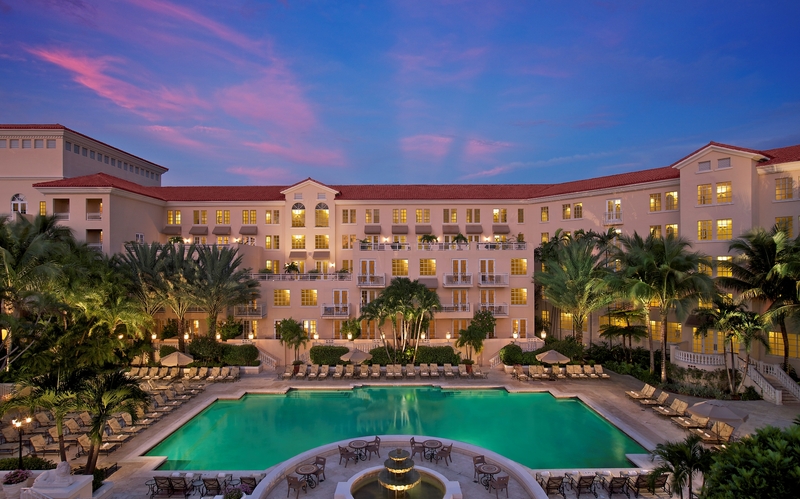 For those seeking an ideal spot for a meeting, conference, private party, or wedding, Turnberry Isle is ideal with award-winning meeting and event facilities that can cater to any and all occasions with multiple venues and a seasoned staff of planners. With all of this said, in my estimation Turnberry Isle is a must for those who prefer to forgo cookie-cutter resort accommodations in favor of staying at guest service-driven properties that have a distinct personality and a boutique sensibility notwithstanding a remarkable breadth and caliber of offerings.